Condition Details: Taken from a low hour demo. 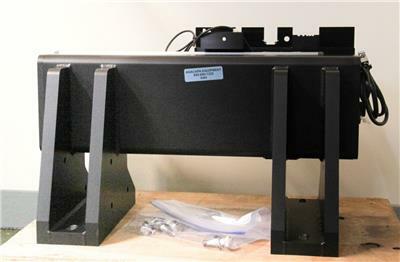 This is a large linear stage with many ports for mounting and custom adaptation. This item was taken from a Veeco Vx330 atomic force microscope. 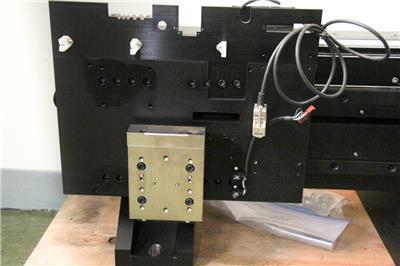 This stage is powered by a Vexta 5 Phase stepping motor PK564BUA. This motor is capable of manual or non manual operation. 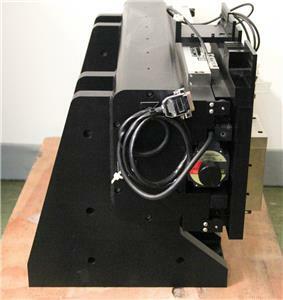 Also equipped on this stage is a RSF Elektronik MSA-6905-4 470mm linear encoder. The frame is forged from a heavy Inconel material and has mounting ports on the feet. This stage has incredibly low hours. 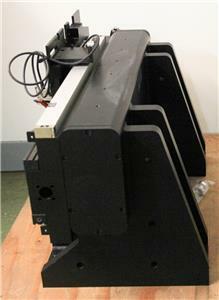 Description:This is a large linear stage with many ports for mounting and custom adaptation. This item was taken from a Veeco Vx330 atomic force microscope. 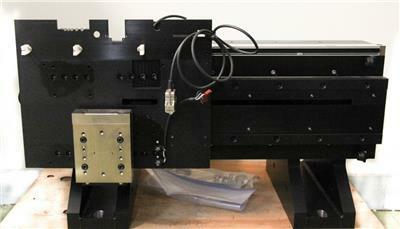 This stage is powered by a Vexta 5 Phase stepping motor PK564BUA. This motor is capable of manual or non manual operation. 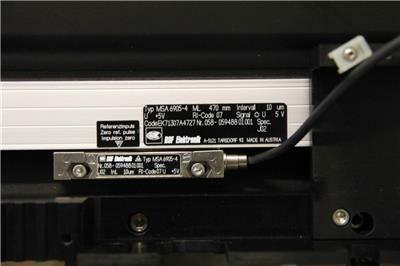 Also equipped on this stage is a RSF Elektronik MSA-6905-4 470mm linear encoder. The frame is forged from a heavy Inconel material and has mounting ports on the feet. This stage has incredibly low hours.